My husband has the flu, my son is just getting over a serious cough and ear infection and I've been trying to keep from getting sick myself. Suffice it to say it's been pretty hectic around my home so I've been attempting to keep dinners very simple and non complex. Soup, tea and toast were obvious menu choices, but whats easier then tossing chicken breasts in sauce, roasting them and stuffing pitas with them. My favorite takeout salad is Greek salad and I thought it would be a fun spin on this easy dinner dish. The kids will love it and minus the pita it's a pretty healthy combo. So what are you waiting for?! With the wintry weather it seems like so many of us are getting colds and the flu. If you are in the same predicament as I've been in with a sick family or a long day has left you with very little energy, this is going to be a great and easy meal to throw together! Olives would be a good addition here as well, if you have them on hand feel free to throw them in the mix. Also, If you've got some time on your hands and you can spare the calories for fried food then a good idea would be to roll the pieces of chicken in falafel ball mix and fry them, that would turn these pitas into a delectable Mediterranean delight. 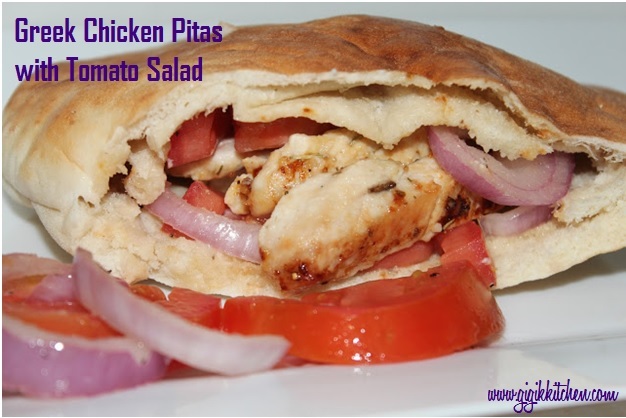 Whole wheat pitas will work too, there are so many ways to customize this recipe to suit you! 1. Sliced the chicken breasts into thin strips. Pound them down with a meat mallet if you have one. Put the chicken strips into a greased 9x13 pan and preheat the oven on broil. 2. In a bowl combine the garlic, oregano, thyme, mayonnaise, olive oil and lemon juice. 3. Pour the mayo sauce over the pieces of chicken and put them in the oven for about 10-15 minutes at the most until they are completely cooked through. You can cook them longer on a lower temperature if you'd like as well. 4. Once the chicken is cooked completely remove it from the oven. Slice off the tops of the pitas and stuff them with the pieces of chicken till about 3/4 of the way full. Be sure to top that with some of the sauce from the bottom of the pan. 5. Prepare the tomato salad and top the pitas with it or serve to the side. 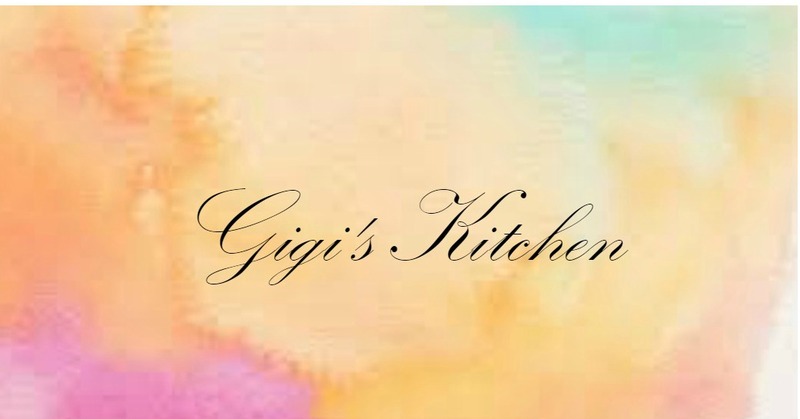 Whats your favorite easy dinner dish to throw together when your in a bind? Let me know in the comments, I love hearing from you!